One of the many fun and free things to do on a cruise is the cabin crawl. Unfortunately as most European cruisers are unfamiliar with the concept of opening your cabin to complete strangers, though they probably wouldn’t mind sneeking around the cabin of other people, cabin crawls are rarely organized on European cruises. 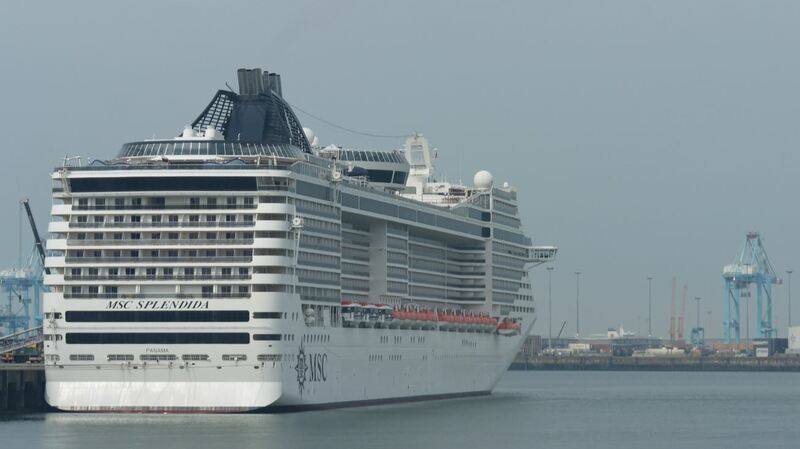 During our recent with MSC Cruises we were travelling with friends and family onboard MSC Splendida. We decided to organize or own little cabin crawl and have a closer look at the rooms we were staying in. 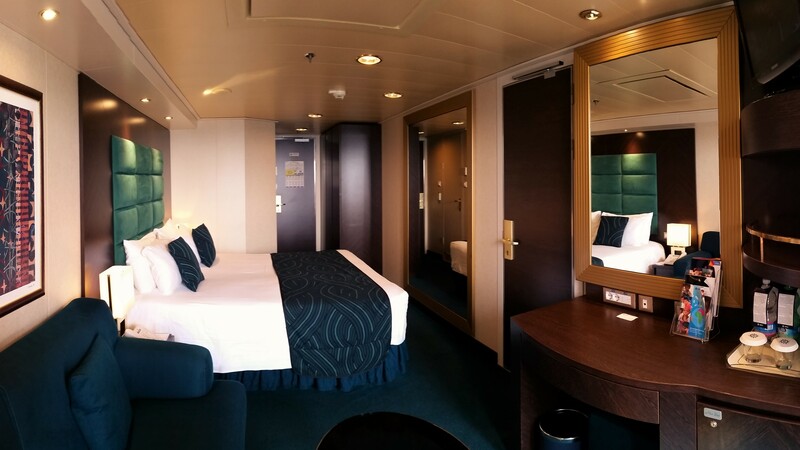 While all of us stayed in balcony staterooms, our cabins could nevertheless be divided into three different “types”. While one couple was staying in an accessible stateroom, two others stayed in regular cabins. Although we also stayed in a regular balcony stateroom, we enjoyed the upgraded Fantastica ‘experience’. As you can see both rooms with the Bella experience are decorated in green/turquoise and brown tones. 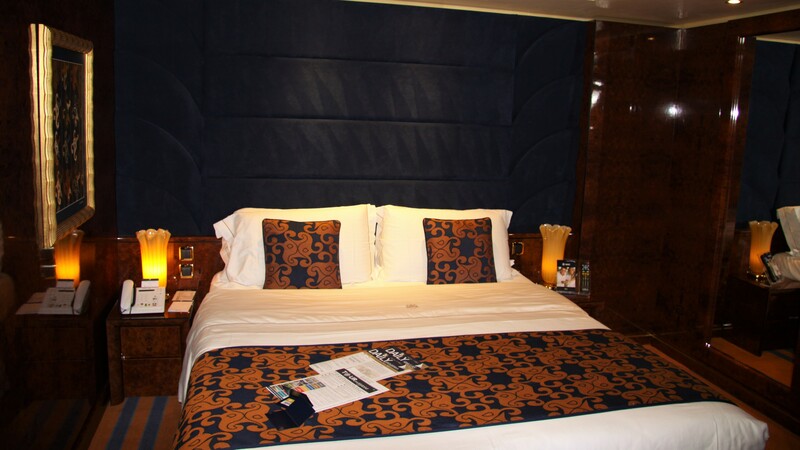 The first stateroom, cabin 8012 (type B1), is located at the front of the ship on the Giotto Deck (deck 8) while the second cabin, 9165 (type B1), is located near the center of the ship on the Tintoretto Deck (deck 9). 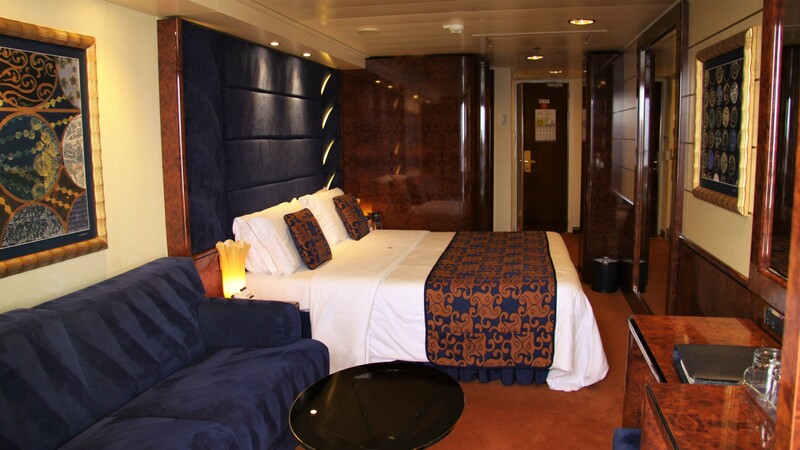 Both staterooms measure approximately 194 sq.ft. (17 sq.m.) , have two single beds converted to a double bed, a spacious wardrobe and a bathroom with shower. The sitting area has a sofa and desk. 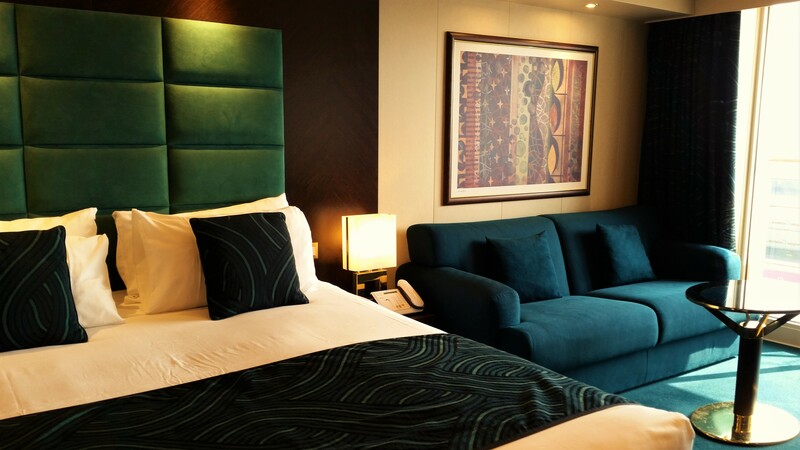 Each stateroom also has a television, thermostat controlled air-conditioning, mini bar, individual safe, a (paid) internet connection, and direct-dial telephone. Floor-to-ceiling sliding glass doors lead to the 42 sq.ft. (4sq.m.) private veranda which has 2 chairs and a table. 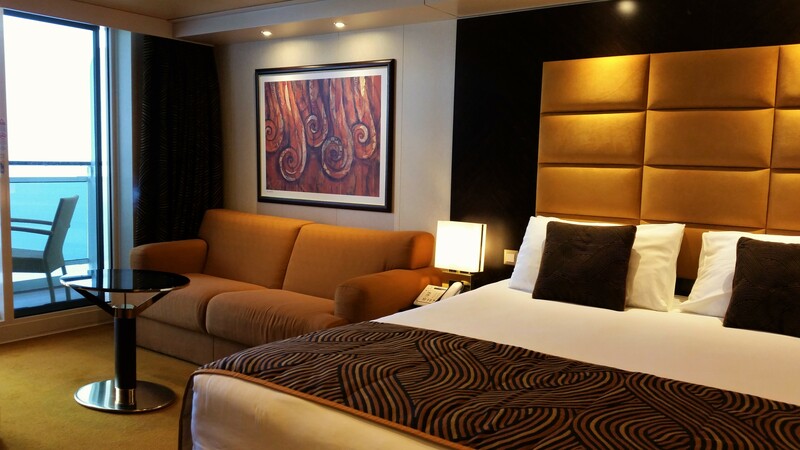 Cabin 9189, an accessible stateroom, is located closer to the aft of the ship. 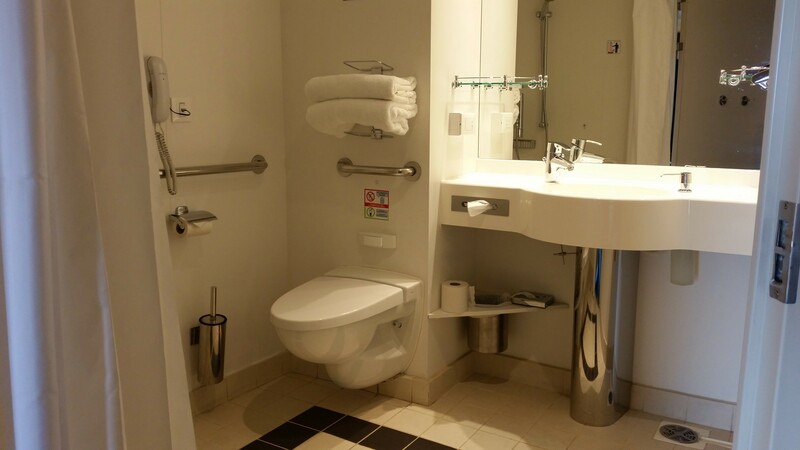 Because the stateroom is designed for guests with reduced mobility, the stateroom is larger in size than the other rooms and could be compared (in size) to the suites onboard MSC Splendida. The cabin features a larger accessible bathroom with shower and a (removable) ramp for easy access to the veranda. 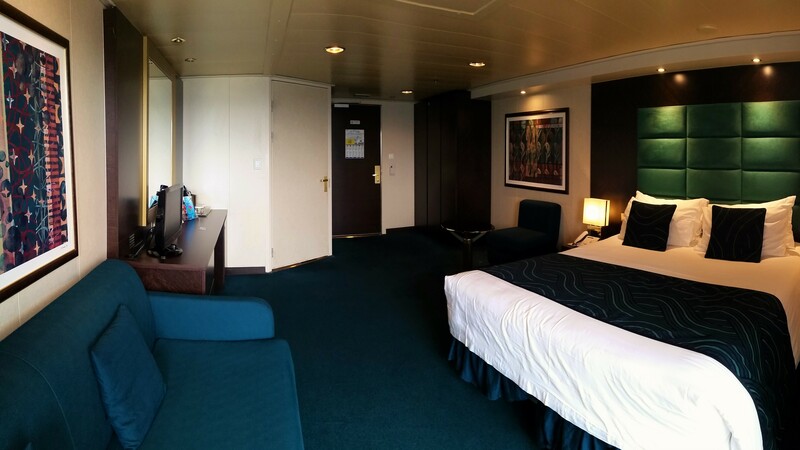 We stayed in cabin 12188 (type B2) on the De Chirico Deck (deck 12). The Fantastica Balcony Stateroom has two single beds, converted to a double bed, a spacious wardrobe and a bathroom with shower. The sitting area has a sofa and desk. 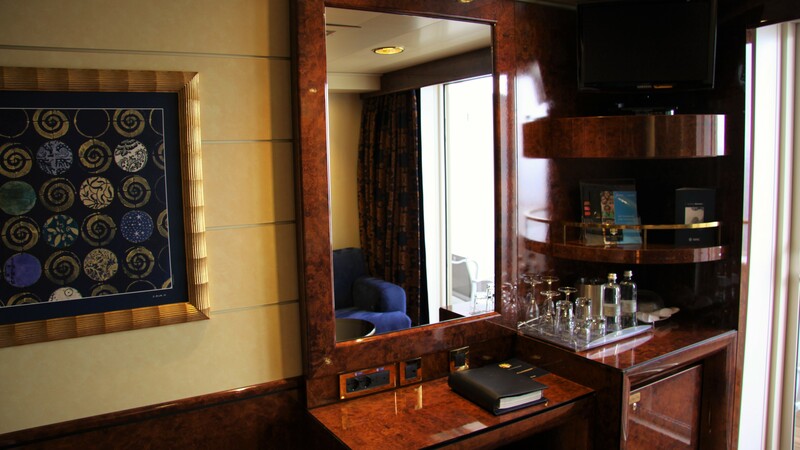 The stateroom also has a television, thermostat controlled air-conditioning, mini bar, individual safe, a (paid) internet connection, and direct-dial telephone. The floor-to-ceiling sliding glass doors lead to the veranda which has two chairs and a table. The room is decorated in yellow/gold and brown colours. 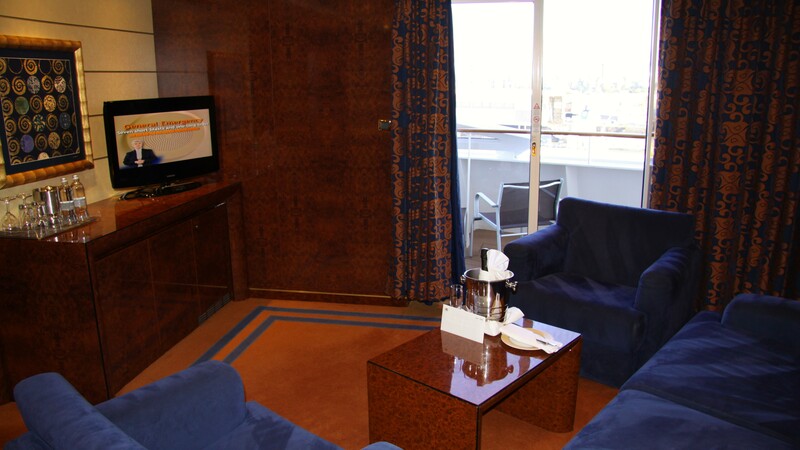 No cabin crawl would be complete without a look at the exclusive suites in the MSC Yacht Club. Designed as a ship within the ship – you actually need special access on your keycard to open the door to the Yacht Club – it offers guests a cruise experience like no other. Staying in lavishly decorated suites, guests enjoy 24-hour butler service and an exclusive concierge reception. All-inclusive à la carte meals are served at the guests’ preferred time in the private restaurant and drinks in all MSC Yacht Club areas or from the minibar are included. Staying in the Yacht Club also means exclusive access to the private The One Sun Deck and Top Sail Lounge. 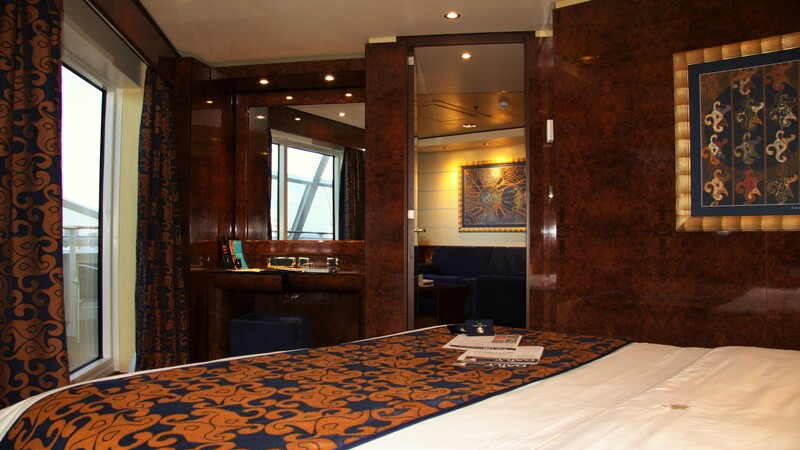 Suite 16010 is a Yacht Club Deluxe Suite (type YC1) located towards the front of deck 16, the Michelangelo Deck. This Deluxe Suite measures approximately 280 sq.ft. (26 sq.m.). It has air- conditioning, a walk-in closet, a bathroom with bathtub and marble top vanity, interactive TV, telephone, wireless internet access (for a fee), complimentary mini bar and a safe. The double bed can be converted into two single beds. We will end this little cabin crawl onboard MSC Splendida in one of the two Royal Suites. Located at the front of the Michelangelo Deck, the Royal Suite measures approximately 560 sq.ft. (52 sq.m. ), including a balcony of 172 sq.ft. (16 sq.m.). The Royal Suite has a seperate living room and bedroom. 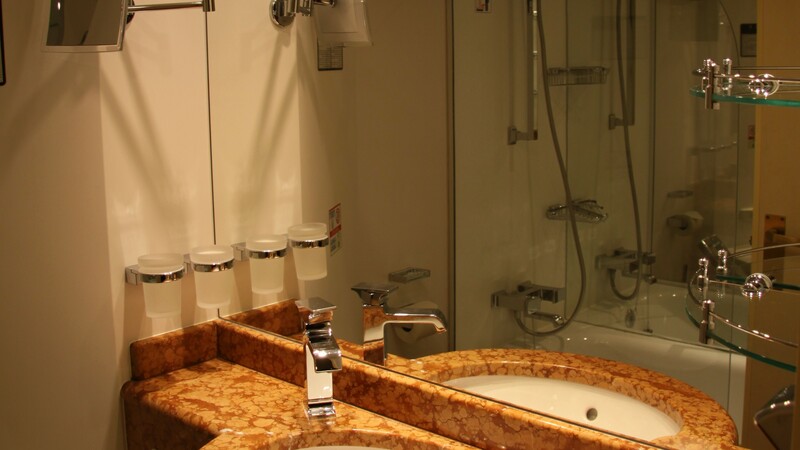 Part from all the regular amenities like air-conditioning, telephone, interactive TV, wireless internet access (for a fee), complimentary mini bar and safe, the suites feature a walk-in closet and a bathroom with bathtub and marble top vanity. Sliding glass doors in both bedroom and living room give access to the private veranda.